May is National Egg Month, so we’re helping you whip them into easy meals for your family. First up is a delicious Turkey and Egg Breakfast Casserole, perfect for brunch. These Mexican Stuffed Sweet Potatoes with Eggs make an easy and tasty meal. Spinach and Mushroom Egg White Frittata is a light take on the classic. Quinoa Fried “Rice” is a protein-filled version of your takeout favorite. 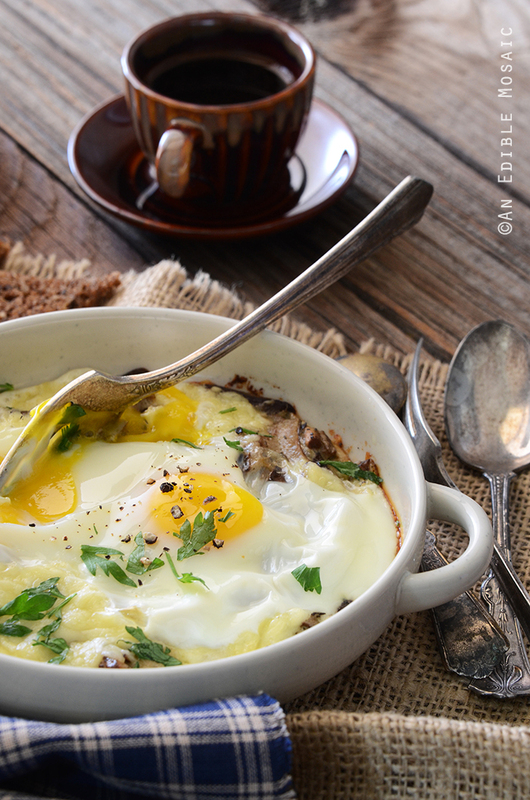 Make simple Eggs Baked in Portobello Mushrooms for an easy breakfast. Skip the pastry with this lighter Crustless Spinach, Onion, and Feta Quiche. Whip up this Sweet Potato Hash with Feta and Poached Eggs for any meal. This week, we featured comfort food classics for you to try breakfast for dinner, or brinner. First up is a Skillet Sweet Potato Chicken Hash with Eggs that’s tasty and easy. Try these easy Cheesy Mushroom Baked Eggs for Two for a simple night in. Make this Easy Shakshuka , or spicy eggs poached in tomato sauce, tonight. 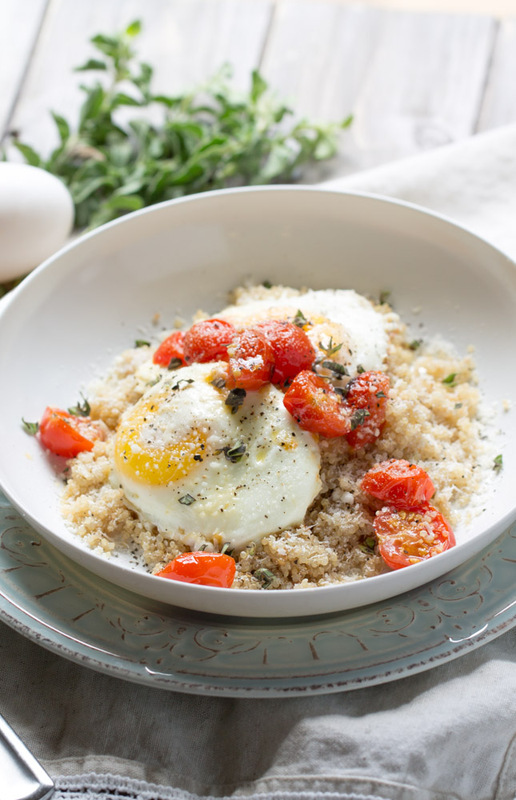 Roasted Tomatoes with Eggs and Quinoa are a quick, filling meal. This Quiche with Butternut Squash and Kale is perfect for dinner or brunch. 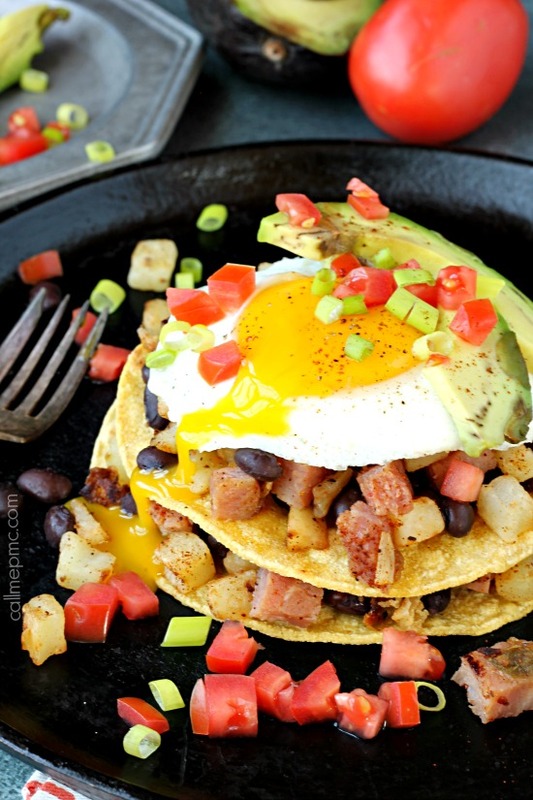 This Huevos Rancheros Breakfast Stack is impressive and delicious. Make these showstopper Mushroom and Egg Breakfast Pastries for any meal. Safe food prep is key to cooking at home. As we’ve talked about before, storing your food correctly and washing it well are both important parts of safe cooking, but food prep is actually where it’s easiest to accidentally contaminate your meal. Always wash your hands before and after dealing with food and after each time you touch raw meat (before you touch anything else). Make sure everything is cleaned correctly and that all bruises or rotten spots have been cut off of your fruits and veggies. Clean the lids off the top of cans before you open them. You never know how many people or things have touched that can before it touches your food! The fridge is the best place for slow, safe thawing, especially if you thaw out meat unattended while you’re at work or busy during the day. Make sure that thawing meat juices don’t drip on other foods. You can refreeze meat you’ve thawed in the fridge if needed. You can also put meat in a sealed Ziploc bag and submerge it in cold tap water for faster thawing. You need to change this water every 30 minutes and cook as soon as you’re done thawing it. If you thaw meat and poultry in the microwave, always cook it right after that. Don’t just set food out on the counter to thaw! Don’t cross-contaminate. This is when it’s easiest to accidentally cause sickness! Keep raw meat, its juices, and eggs away from other food. Use separate cutting boards and knives for raw meat and veggies. After cutting raw meat, wash cutting boards, utensils, and countertops with hot, soapy water or a bleach cleaner (1 tablespoon of bleach per gallon of water). Marinate meat in a closed dish in the fridge. Don’t reuse marinade that has touched raw meat unless you bring it to a boil first. Make sure you’re always cooking your food to a safe temperature.